One tahitian cultured pearl, 12.0mm in size. 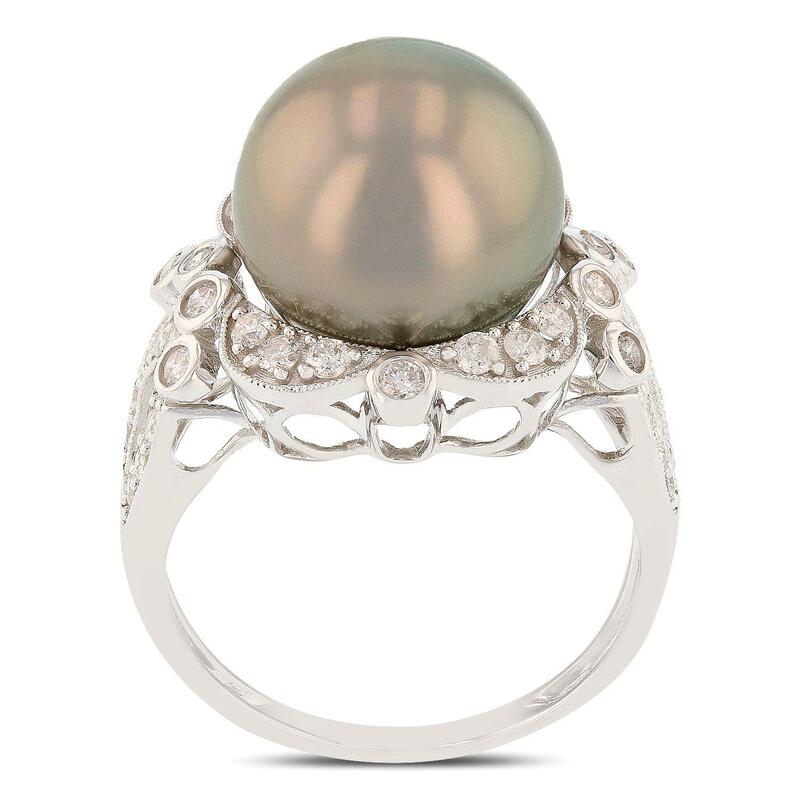 The pearl is silver in color with a good luster, round, mostly clean Graded in the setting. Forty bead & bezel set round brilliant cut diamonds, measuring 1.80 - 1.50 x 0.99mm (depth est.) approximate total weight of 40 Stones = 0.63ct. Graded in the setting. Total Weight of Diamonds 0.63ct.